The UK food landscape is rich with diversity and choice. Brits can take to shopping centres, high streets, alleys, the occasional disused Victorian toilet and markets nationwide to bombard their bellies with culinary creations, selecting from countless cuisines to get those taste buds blazing. A 2017 report of the UK restaurant scene from PwC, the professional services firm, found consumers are eating out now more than ever and for all sorts of reasons. That’s generated a shift in the way the market traditionally operated, producing more crossovers such as food-to-go stores open for longer hours, eat-in spots offering takeaways and not forgetting fusion foods – the very essence of a crossover. 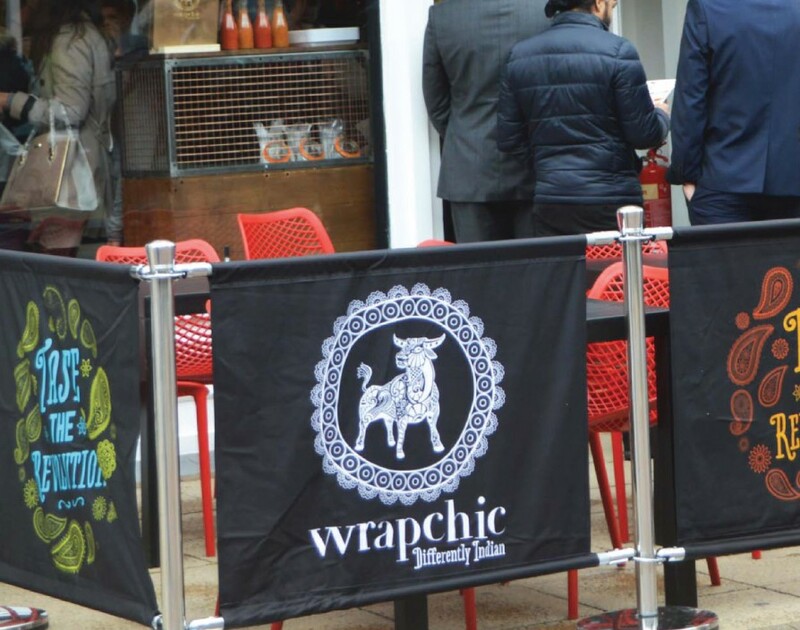 And on a mission to capitalise on these trends is Mahesh Raikar, the founder and managing director of Wrapchic, the Indian burrito franchise. Demonstrating how it pays not to burn bridges, Compass Group was responsible for opening said door with a corporate franchise in Leicester at the De Montfort University. “The food was unique and different and they had big gap in the market to serve the ethnic mix they had in their portfolio – we were the right fit at the time,” he explains.